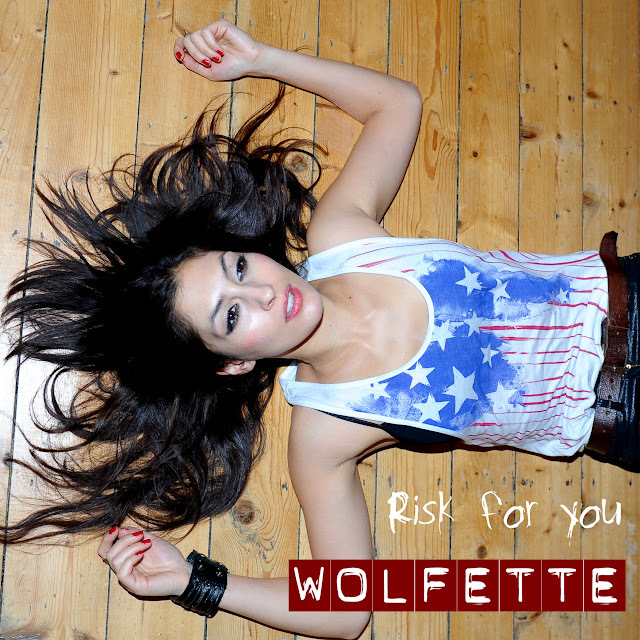 There's no doubt about it, UK singer/songwriter Wolfette keeps getting better with each song she releases. Her latest hit, called "Risk For You," is due out May 28th and very well might be her best yet. It's probably not a coincidence that my favorite Wolfette track is also her most commercial-sounding single. This is not to say Wolfette is selling out, on the contrary, she's showing her versatility as an artist. With it's driving beats and haunting vocals, "Risk For You" could easily find a place in a car advert or perhaps in a TV show While past singles, "Different Story" and "Trophy Girl" both include heavy dance and electronica elements, they are both considerably more ROCK than the more club friendly "Risk For You," and for me, that's a good thing. I suppose it was only a matter of time before Katharine McPhee's DELICIOUS new single, "Touch Me" was given the royal remix treatment. Serving as the first single off of the official SMASH soundtrack, "Touch Me" was produced and written by Ryan Tedder (Leona Lewis, Kelly Clarkson) with Brent Kutzle (Beyonce, Cobra Starship), Bonnie McKee (Katy Perry, Britney Spears) and Noel Zancanella (The Wanted, Demi Lovato) serving as co-writers on the track. "Touch Me" appeared in the March 26th episode of NBC's hit TV show and was used heavily in TV spots for the series. In it's original form, "Touch Me" is an up-tempo party track with but remixes from Jump Smokers, DJ Kue and Jody den Broeder take it to a whole other level. "Touch Me" is just BEGGIN' for that #1 spot on Billboard's Hot Dance Club Songs chart, and with proper promotion and support from the club scene, I think it has the potential to get there. Listen to the SICK Jump Smokers remix BELOW.